The delicate mild flavor of the Oyster mushroom along with its velvety texture makes it a perfect complement to any vegetarian meal, chicken, pork or seafood dish. Excellent deep fried. 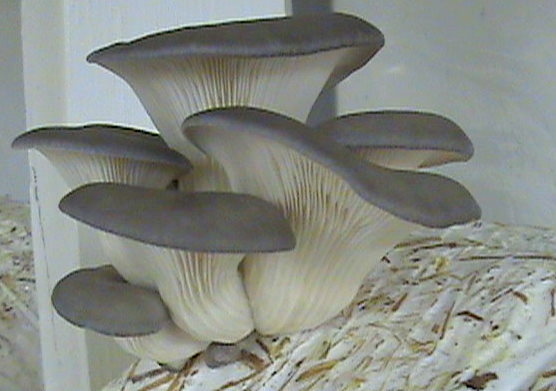 Oyster mushrooms are high in nutrients. According to a study published in "Food Chemistry," oyster mushrooms contain significant levels of zinc, iron, potassium, calcium, phosphorus, vitamin C, folic acid, niacin, and vitamins B-1 and B-2. 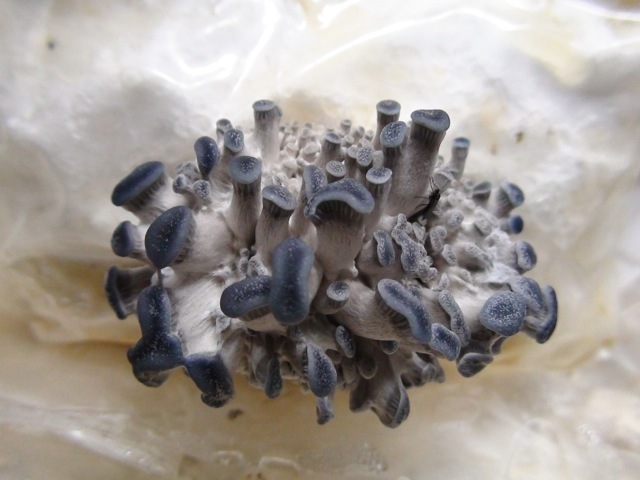 The study concluded that consuming oyster mushrooms as part of a healthy diet contributes to recommended nutritional requirements. *Foods that are an excellent source of a particular nutrient provide 20% or more of the Recommended Daily Value. Foods that are a good source of a particular nutrient provide between 10 and 20% of the Recommended Daily Value. Similar to the Pearl Oyster in flavor and texture this mushroom compliments many dishes, or deep fried as an appetizer and dipped in your favorite sauce. This spectacular yellow mushroom is extremely bitter and tangy when lightly cooked, however, when crisply cooked, a strong cashew-like flavor develops. Excellent in stir-frys and a wonderful topping for salads. 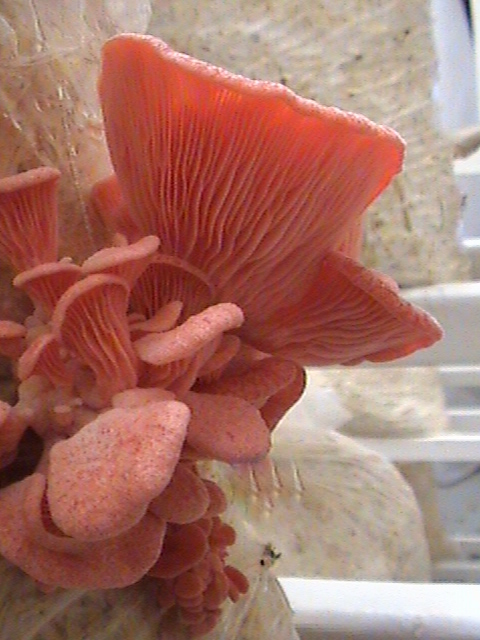 The Pink Oyster Mushroom as a delicate earthy flavor with a soft chewy texture. Turning gray when cooking, this mushroom complements seafood well or grilled with onions, garlic and a little bit of sea salt. Shiitake mushrooms are the second most popular mushroom in the world, after common button mushrooms. Native to Asian countries, shiitakes are popular for both cooking and medicinal uses. When properly cultivated, shiitakes will grow in a variety of climates, provided the right hardwoods are used and proper care is taken to retain moisture. This mushroom is very versatile . 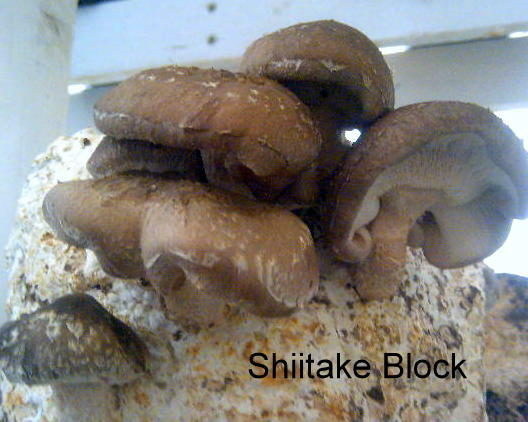 Shiitake can be sauted, broiled, baked, grilled, stir fried, or sliced thin and used raw on salads. Its meat flavor enhances almost any dish. Use the stems to create deeply flavored stocks. The Lions Mane is a member of an unusual group of fungi, which form tooth-like structures instead of gills. The Lions Mane has a very firm texture and a flavor reminiscent of fresh crab meat or lobster when cooked with butter and onions. Lions mane also has other popular nicknames such as, Monkeys Head, Hedgehog, Pom Pom and Bears Head. The icicle-like tendrils that hang from the white rubbery flesh of the lions mane make it the most unique looking mushroom on the planet. With age, the tips of tendrils change colors from white to a brown-yellow tint. These distinct features make it stand out from all other mushroom species. Lions mane mushrooms have been eaten in Eastern Asia for centuries and are believed to heal people of various ailments. China, in particular, has really embraced this mushroom and admires it for the exceptional medicinal and healing properties. In nature, lions mane tends to grow on dead or dying oak, walnut, beech, maple, sycamore, or other broadleaf trees. The southern regions of the United States are the most abundant areas to find lions mane growing in the wild. Lions mane has been intriguing doctors and scientists for centuries. Some have even discovered that the mushroom may have some nerve regenerating properties, which helps to stimulate brain function. Lions mane also holds antibacterial, anti-inflammatory, and anti-tumor properties. Other medicinal characteristics include, strengthening the nervous system, enhancing concentration, speeding up recovery times, and delaying aging. In China, lions mane is a delicacy. Any dish in which lions mane mushrooms are included is considered a gourmet meal. 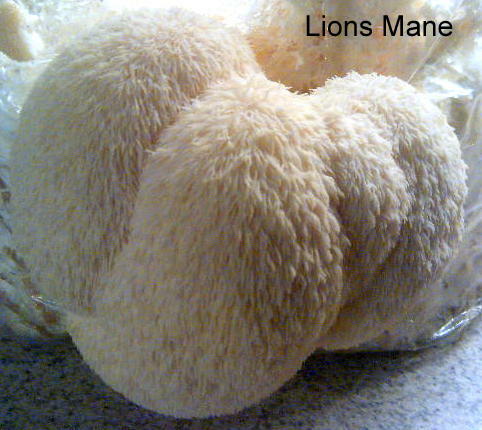 The seafood-like flavor of lions mane is very distinctive. Many people consider it a replacement for pork, lamb, or seafood. The key for preparing lions mane and making sure they maintain the seafood flavor is to cook them slowly. Lions mane tend to give offa lot of water, therefore, you will want to add your spices towards the end of the cooking period. So whats so good about red reishi? Immune modulator regulates and fine tunes the immune system. Regular consumption of red Reishi can enhance our bodys immune system and improve blood circulation, thus improving better health conditions. Generally, Reishi is recommended as an adaptogen, immune modulator, and a general tonic. Red Reishi is also used to help treat anxiety, high blood pressure, hepatitis, bronchitis, insomnia, and asthma. A full list of reported benefits can be found here . However, most of the scientific research that has been conducted appears to strongly support red Reishis role as a normalizing substance a nutritional supplement that can yield medical benefits through its normalization and regulation of the bodys organs and functions. The role of Red Reishi in maintaining a healthy lifestyle can best be explained through the Traditional Chinese Medicine (TCM) point of view because none of the known active components taken alone is as more effective than the consumption of Reishi itself. Whereas Western medicine focuses on the cure after the disease has already occurred, TCM, established through over 2,000 years of human observation, focuses on disease prevention by sustaining the right balance within the body through proper nutrition, exercise, and meditation. Reishi is an important adaptogenic herb in TCM in helping the body maintain this balance and also restore the balance when one is sick. For scientific studies done on Reishi please see the Research  or Articles  section. How long does it take for the Oyster Mushroom kits to produce mushrooms? 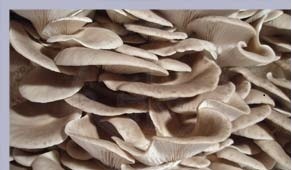 The Oyster Mushroom grow kits will start to produce mushrooms in 10-14 days after inoculation. Birthday is on each grow kit. How often should I mist my grow kit? Once you see little pinheads you can mist your bags 2 to 3 times a day for 3-4 days. Do not let the mushrooms dry out. What does Phoenix mean on the bag? The name on the bag is the type of mushroom you are growing.... Phoenix is a type... of Oyster mushroom it's scientific name is plurotus pulminarius. How large should I let the mushrooms grow before cutting them? You should allow them to grow until the ends are starting to turn upwards, you can let them get very large and curly on the ends but the shelf life will be shorter. Will the second batch come from the same holes as the first batch? Please feel free to ask questions reguarding any type of mushroom we will be more than happy to assist you the best way we know how.